Stunning, Classy, and a Little Sassy. 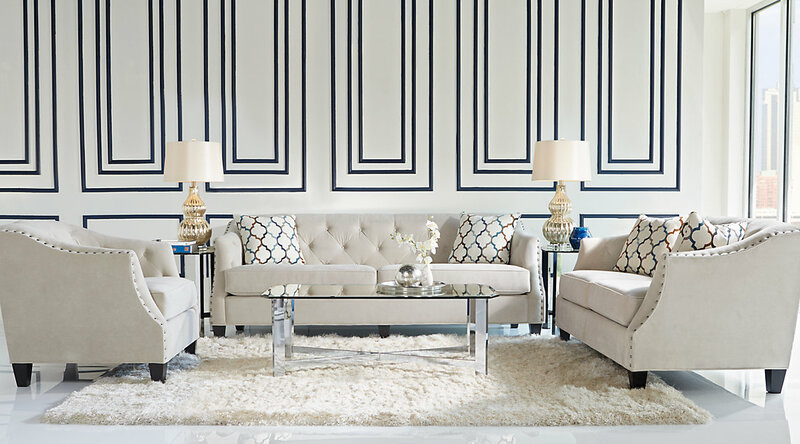 The Sofia Vergara Collection is contemporary furniture with an adventurous twist. It’s daring but inviting. Stylish but comfortable. Luxurious but affordable. It’s everything you’d expect from Sofia Vergara, and it’s all available right here. From inspiring living rooms and chic bedroom furniture sets to sophisticated dining rooms, the Sofia Vergara Collection adds a little Hollywood to your home. You’ll be impressed, not only by its great looks but also its outstanding value. The Sofia Vergara Collection: Surround yourself with modern elegance, surprise yourself with unexpected affordability. Whether you’re settling in for the night in a Sofia Vergara bedroom set or showing off for the evening, the Sofia Vergara Collection matches contemporary style with unmatched coziness. Dinner party or long day’s night, the Sofia Vergara collection provides both style and comfort. Coziness is always en vogue. The Sofia Vergara collection: perfect for trendy dinner parties and impromptu movie nights.